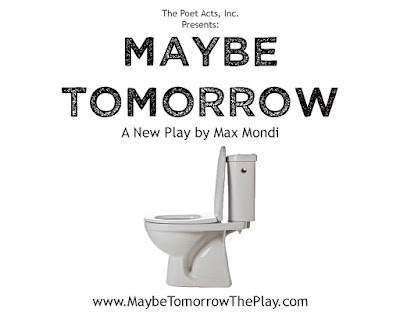 You comb through mounds and mounds of plays to find something stirringly vivacious and juicy but chances are you haven't come across Maybe Tomorrow. 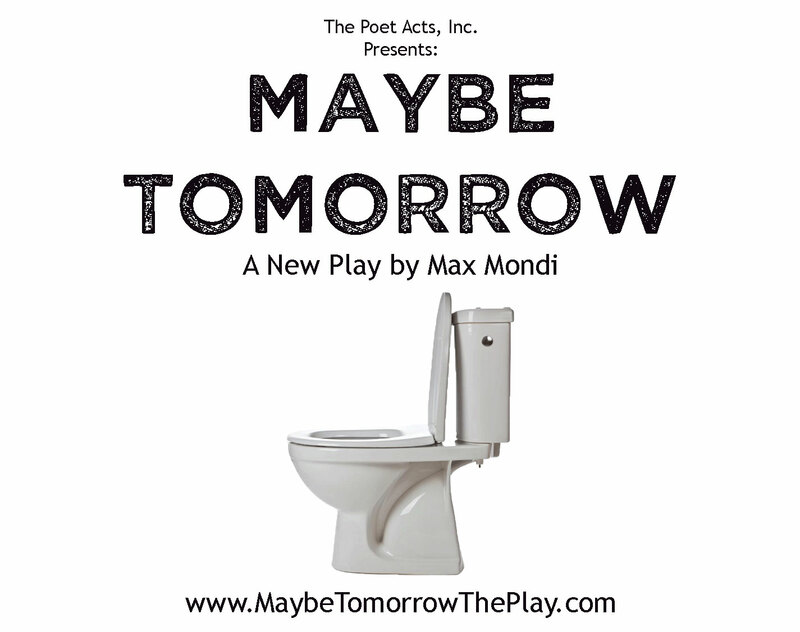 Written by Max Mondi, Maybe Tomorrow is simply magical, figuratively and literally. The play follows husband and wife Gail and Ben as they handle their mobile home life and marital bliss. Set solely in a bathroom, the battle of reality is put to the test. Filled with theatrical quips, cunning dialogue, and humor, heart, and humility, Maybe Tomorrow forces you to question your own life while observing another. It's actually a bit hard to discuss this play without spoiling the fun, but when the fourth wall is broken, that's when the play comes to life. Mondi does a sensational job at giving you just enough. He never drags on or lets beats linger. His dialogue is a unique blend of accessible and whimsical. And it fits this world pleasingly. And the games the characters play are fun yet purposeful. There is a reason for every single world and action Mondi writes. This is a play you need to see to believe. And once you do, you'll believe in the magic. Mondi's script is good but it's the way Jennifer Bareilles and Harrison Unger play it that make it what it is. As Gail, Jennifer Bareilles is effortlessly delicate. She has a natural glow about her. Her performance is beautiful and breathtaking. Bareilles has a Kristen Wiig (in her dramatic roles) aura to her. It’s nothing short of enthralling. Harrison Unger provides the perfect support to Bareilles and the play. Like Bareilles, Unger has a knack of finding the humor in the dramatic and the dramatic in the absurdity. Maybe Tomorrow could not survive without the dynamic eye of director Tomer Adorian. You begin this play seeing the barebones of a bathroom. And in your mind you wish there could be more as Bareilles and Unger mime. Maybe another prop or two. And then Adorian delivers. Literally. It would be a travesty to reveal what and how it happens but Patrick Swailes deserves a world of credit for his work on this production. Maybe Tomorrow is what some would call perfect. The amount of hope and promise in this production and every single person involved is almost unfair. Keep this show and these artists on your radar.